Castelnuovo Berardenga, located in Siennese part of Tuscany, Italy, is often treated as a kind of appendage of Sienna if it is considered at all by visitors to the province of Sienna. 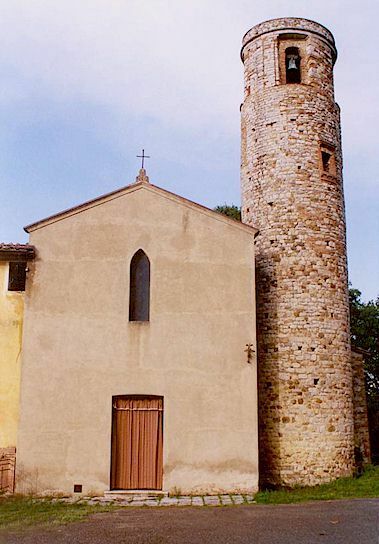 In fact the town and its surroundings are full of charm, character and history, and Castelnuovo Berardenga should really be thought of as the southern boundary of the Chianti wine zone rather than an outlying suburb of Sienna. 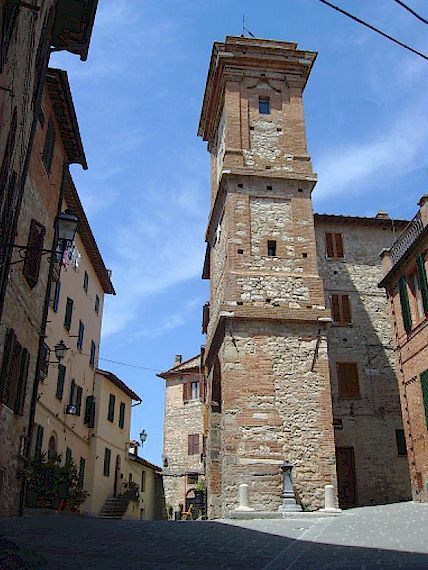 We have attempted to list here the most interesting architecture, gardens and historical sites and strongly recommend that tourists spend a day exploring this very attractive part of Tuscany. Villa Chigi Saracini, with its splendid gardens and large collection of statues dedicated to great musicians. Villa di Geggiano (Villa Bianchi Bandinelli) and its gardens. Villa di Monaciano, an 18 C villa with a beautiful English garden. Pievasciata and the mediaeval village of San Gusmè. The Romanesque church Pieve a Pacina with its round bell tower. Abbadia d’Ombrone and Monastero d’Ombrone. The Charterhouse (Certosa) of Pontignano with its fine cloisters and gardens. Click here for your vacation accommodations in the cool Chianti hills, plus all you need to know about the Chianti Classico zone of Tuscany. 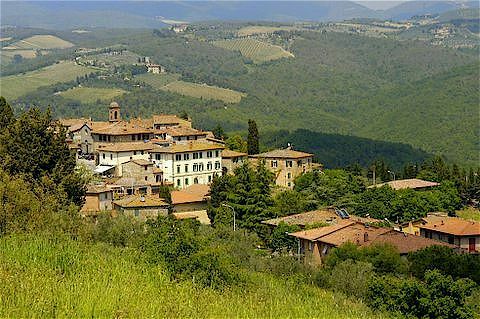 Specialising in vacation rentals in farm houses, rural apartments and villas in the Chianti territory around Greve in Chianti. Click here to view our properties. The municipal territory of Castelnuovo Berardenga covers 177 sq km between the plain and the hills of the high valley of the river Ombrone. The original nucleus of the community goes back to the 16 C but its current structure dates from 1777 and the Leopoldine reforms. 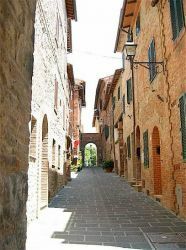 The district of Berardenga took its name from the noble Berardo, of Frankish stock, who lived in the second half of the 10 C and was the descendant of a certain Guinigi who had been Count of Sienna. With the desegregation of the Carolingian order and the consequent loss of noble title, the family Berardenga managed, between the 10 C and the beginning of the 13 C to impose their lordship over a vast area of the eastern part of the territories of Sienna, named Terra Berardinga for the first time in 1050. But from the middle of the 12 C, Sienna began to exercise an ever tighter control on the territory, which already, from the beginning of the 1200s, had been under their administrative control, becoming Seat of a Bishop in the first years of the 1300s. It was only in 1366 that the government of Sienna decided to construct a new castle in the centre in this important territory: Castelnuovo was thus born, destined to be the capital and economic mainstay of the Berardenga. The fortifications were finished quickly and the castle had just begun to take on its function when it was assaulted by the Florentine army, captained by Giovanni Acuto (1382). Other attempts were made by Florence to take Castelnuovo from Sienna between the end of the 1400s and the beginning of the 1500s, but only in 1554 was this accomplished, with the annexation of all the Sienna territories to the Duchy of the Medici. 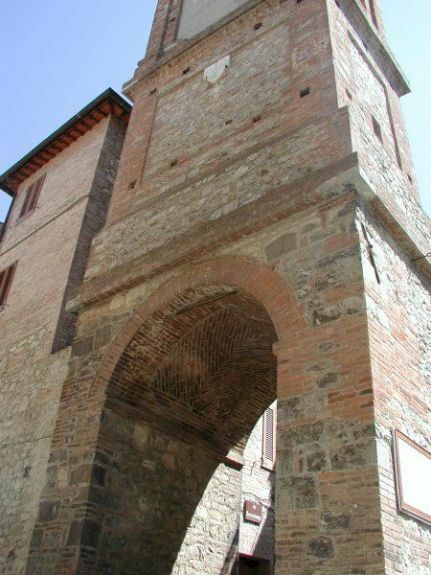 Montaperti is in the municipality of Castelnuovo and was the theatre of the battle of 4 September 1260 which saw the victory of the Sienna Ghibellines over the Florentine troops and their Guelph allies. Vagliagli, a small village with a splendid view of the surrounding countryside. 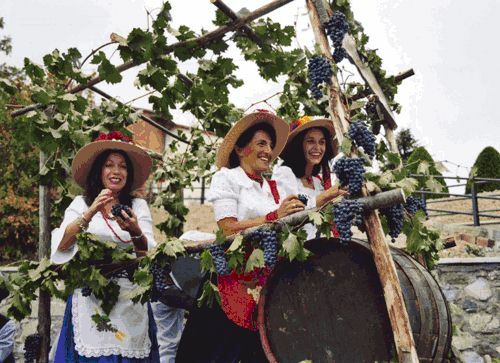 This is a tradition festival and among the most important and most interesting taking place on Siennese territory due to the high quality of the activities offered, both cultural and oenogastonomic. The little town is transformed for the occasion into a wonderful showcase that genuinely displays its traditions and the connection between family life and the soil, nature, beauty and the seasonal chores of the farmers. During the festival there are numerous locations for tasting and buying the typical products of the area, with special attention to the excellent Chianti wine of the area. The parade of allegorical carriages is a high point, with themes derived from the countryside and the life of the farmers, accompanied by men and women in traditional costumes.